For someone who wishes to study choral conducting, the Philippines is definitely one country to consider with its many music schools and universities to choose from. In the first half of last century, when the Philippines was under American rule, the Americans were able to instill in the Filipino people a high regard for education; many of the schools and universities we have now were established during this time. It is in these institutions that many of the country’s renowned conductors studied. 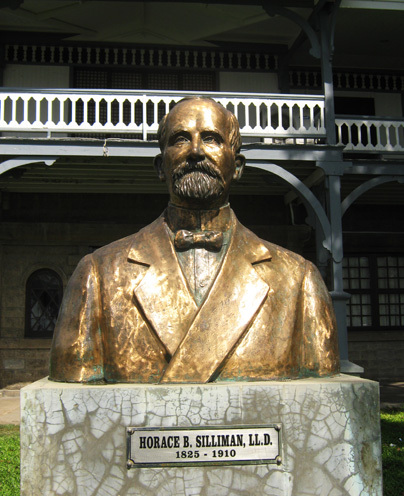 In 1899, Dr. Horace B. Silliman, a retired businessman from Cohoes, New York, appeared at the office of the Presbyterian Board of Foreign Missions with the conviction that the Filipino people needed a new kind of education. This happened at a time when news about the naval victory of Admiral Dewey over the Spanish fleet in Manila Bay was still fresh. Something had caught the imagination of Dr. Silliman about the islands and the people whom he had never seen and whom he would never meet. His proposal was to create an industrial school similar to the Hampton Institute of Virginia. Due to his persistence, the Silliman Institute was established in Dumaguete City. It will later be referred to as the country’s first Protestant university and the first American university in Asia. The College of Performing and Visual Arts started out in 1912 as the Music Department of the College of Arts and Sciences. It was given the name Conservatory of Music when it formally opened in 1934. In 1938, Silliman was granted university status and from then on was called Silliman University. From 1941 though, the conservatory became known as the School of Music. In 1969, the Fine Arts Department was added. Eventually, the School of Music and Fine Arts opened with college status in June 2001, and assumed its present name. Silliman University is a melting pot of cultures and religions. Of its more than 9,000 students, some 300 come from 23 other countries. Although it is affiliated with the United Church of Christ in the Philippines, the majority of the students are Roman Catholics and a good number are Muslims from Mindanao. In addition these students have the opportunity to experience works of nationally and internationally acclaimed literary, visual and performing artists throughout the school year. The University of the Philippines (UP) is the country’s national university. Founded in June 1908, UP was created upon the recommendation of the Secretary of Public Instruction, William Morgan Shuster, to the Philippine Commission, the upper house of the Philippine Assembly. At present the UP system is composed of seven constituent universities and one autonomous college spread throughout fifteen campuses in the archipelago. The biggest of these is the Diliman campus located in Quezon City, the largest city of Metropolitan Manila. UP Diliman is also the physical seat of the UP System Administration. It is here that we find the present location of the UP College of Music. On 4 September 1916, eight years after the university was created, the Conservatory of Music was formally opened in Manila where UP was born. A voice professor from the New England Conservatory in Boston, George Wallace, was its first director. After moving to different locations in Manila, the conservatory finally transferred to its present location. In 1968, it was formally elevated to the status of College. For almost one hundred years now, the UP College of Music has produced some of the most influential figures in Philippine Music history. Nine out of the twelve National Artists for Music have come from the college including the founder of the UP Madrigal Singers, Andrea Veneracion. The Department of Conducting and Choral Ensembles offer both undergraduate and graduate degrees in Choral Conducting. Among its faculty are: Janet Sabas Aracama who directs the official university choir, the UP Concert Chorus, founded in 1962; Dr. Beverly Shangkuan-Cheng, who conducts the newly formed UP Dawani Women’s Choir; Dr. Raul Navarro and Eudenice Palaruan. As choirmaster of the UP Madrigal Singers (also known as the Philippine Madrigal Singers), I also serve as Lecturer in the college. The department is headed by Rodney Ambat who conducts the UP Symphonic Band. 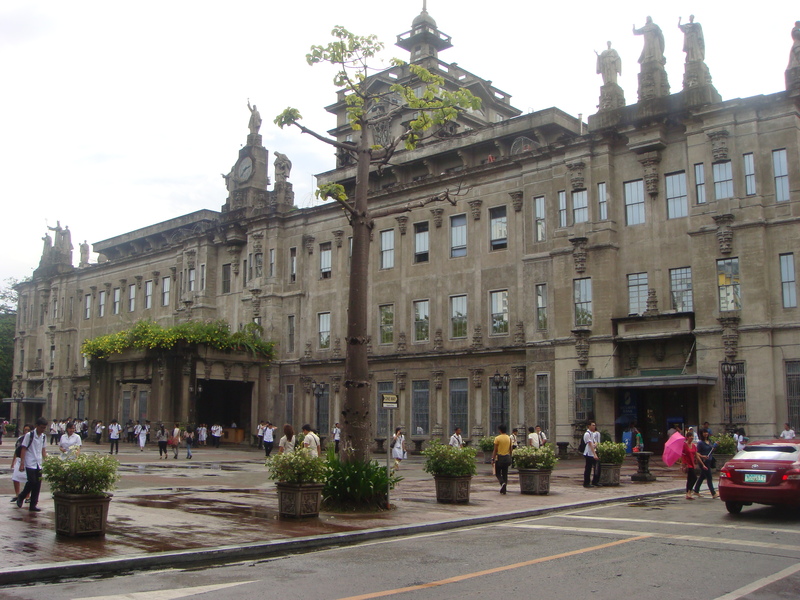 The University of Santo Tomas (UST) is the oldest existing university in Asia. Founded in 1611 by the Dominican friars, it was first called Colegio de Nuestra Señora del Santisimo Rosario. It was renamed later on as Colegio de Santo Tomas, in memory of the foremost Dominican Theologian, St. Thomas Aquinas. In 1645 Pope Innocent X elevated the college to a university. Since then it has played a significant role not only in academic development in the Philippines but also in the history of the country itself. In 1902, Pope Leo XIII made the university a Pontifical University making it the second university in the world to be granted the title. (The Gregorian University in Rome was given this title in 1873.) In 1947 Pope Pius XII bestowed upon it the title of The Catholic University of the Philippines. It is quite amazing to note that in over four hundred years, university academic life was disrupted only twice, both times due to war: the Philippine Revolution (1898-1899) and the Second World War (1942-1945). It was only in 1946 that the Music Department of UST was opened. Shortly afterwards it began to offer a Teaching Diploma and Bachelor of Music Degrees. Band Conducting was offered in 1951. This was followed much later with Orchestral and Choral Conducting. Recently the UST Conducting Program was integrated with the Theory and Composition Department. The Conservatory has its own ensembles as well. Among its instrumental ensembles are the seventy-piece UST Symphony Orchestra, the UST Woodwind Ensemble, and the UST Band. Among its choral groups are Coro Tomasino (the official choir of the conservatory consisting of all music students), the UST Liturgikon Vocal Ensemble (specializing in liturgical music), the UST Large Ensemble Classes, and the world-renowned UST Singers, the premier choir of the university with members coming from the different colleges, twice winner of the title Choir of the World at the Llangollen International Musical Eisteddfodd – 1995 and 2010. The conductors of these ensembles also comprise the Conducting Department headed by its coordinator, Fidel Calalang Jr., conductor of the UST Singers, Maria Theresa Vizconde-Roldan, conductor of the chorus classes and the Hail Mary the Queen Children’s Choir (the 2012 Children’s Choir of the World winner); Herminigildo Ranera, conductor of the UST Symphony Orchestra; and Michael Jacinto, conductor of the UST Woodwind Ensemble. St. Paul University is another institution that offers graduate courses in Choral Conducting. The university was founded in 1912 initially as a Novitiate, a training center for young Filipino women wishing to become sisters of St. Paul of Chartres. The following year, the school was named St. Paul Institution. In 1940 the Conservatory of Music was opened and the school was renamed St. Paul College of Manila. The development of the institution has been an impressive one. From a small Novitiate, it has become one of the biggest universities in the country today. Eudenice Palaruan, who also teaches at the UP College of Music, takes some Choral Conducting courses in the university. Philippine Women’s University offers Master of Music in Music Education with special emphasis on Choral Conducting. Adventist University of the Philippines offers Bachelor of Music in Music Education major in Choral Conducting. 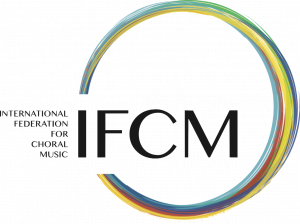 The Asian Institute for Liturgy and Music is considered the foremost centers in Asia for conductors, cantors, liturgists, and instrumental accompanists.